This week in year 2 we have been learning all about different measures. We now know that we can measure capacity in ml or l and mass in g or kg. 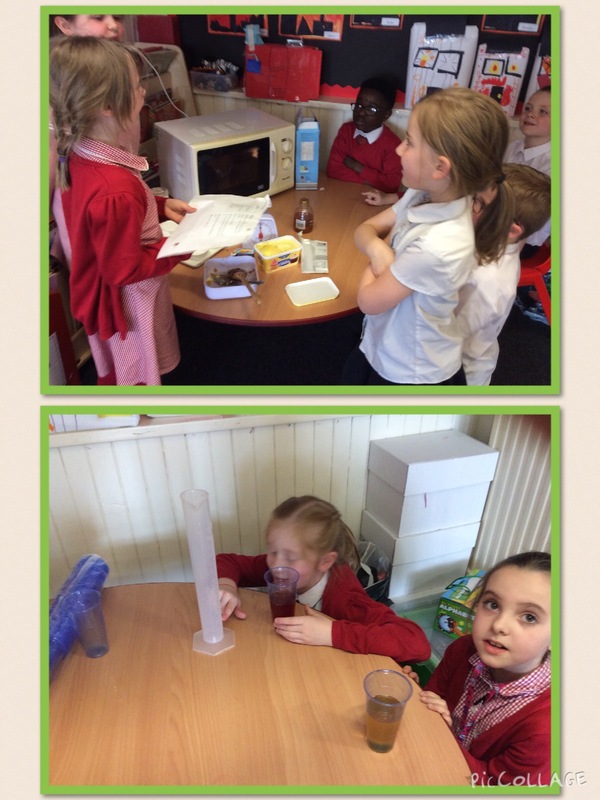 We practised reading scales by making our own fruit cocktails and chocolate cornflake cakes. Yum! I wonder who can remember how many millilitres are in a litre? This entry was posted in Year 2 and tagged Maths on May 3, 2018 by MissGregory. Fruit cocktail is probably my favourite. Next time I’m eating it, I will think there there are 1000 millilitres within 1 litre. Great work everybody!